If you are a fan of Rajinikanth, then we have good news in store for you. 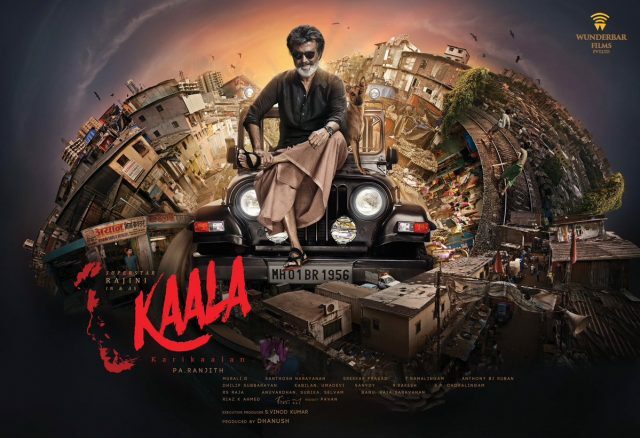 In a recent development, the TFPC has granted a NOC to Kaala. And, as a result, the team is now free to apply for a censor certificate. The shutdown of the Tamil industry to the protest the high fee charged by DSPs had cast a shadow on Kaala’s future. However, with a major hurdle out of the way, the film seems to be all set to hit screens on April 27, 2018. In case you did not know, Kaala is a crime-drama and features ‘Thalaiva’ in the role of a gangster. Directed by Pa Ranjith, it also has Bollywood star Huma Qureshi in the lead, A while ago, she had praised Rajini had said that he is the ‘humblest superstar ever’. “Even if I were made to stand like a tree next to him, I would have been very happy. But thankfully, Ranjith has written a great role for me. Acting in another language is very difficult, for me, as an actress. So, the roles have to be worth it. It’s a powerful role, and it’s more special as it is Rajini sir’s film,” she had told a leading daily. The film’s teaser was released on Holi and it created a buzz amongst fans in no time. It indicated that Kaala will have some political undertones and touch upon the rise of the oppressed. Interestingly, this marks Rajini’s second film with Ranjith. The two had previously collaborated for Kabali and created box office history. On a related note, this is a busy time for Rajini. Besides Kaala, he also has 2.0 in his kitty. It is a sci-fi thriller and has been directed by S Shankar. In it, he will be seen alongside Brit beauty Amy Jackson.